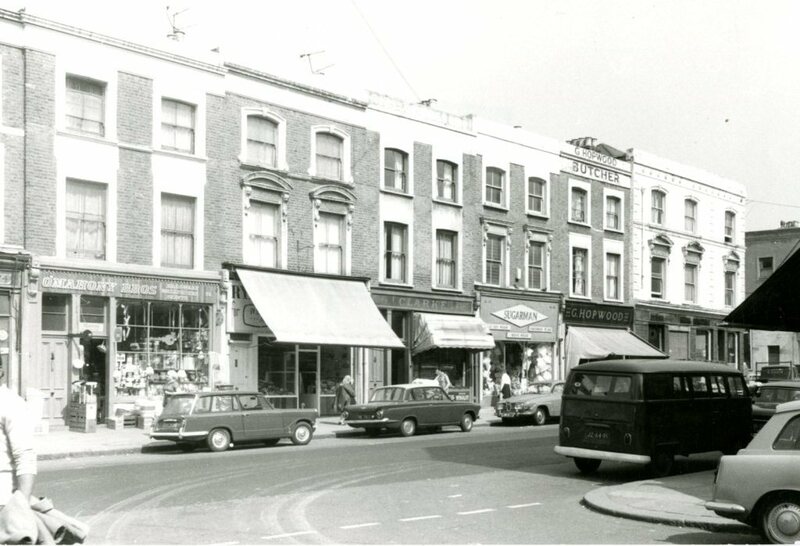 This entry was posted on Thursday, May 24th, 2018 at 3:56 pm	and tagged with Golborne Road and posted in 20th Century, North Kensington, Shopping. You can follow any responses to this entry through the RSS 2.0 feed. Thanks Dave for more pics. You might like Richard Ford ‘s novel “Independence Day”. 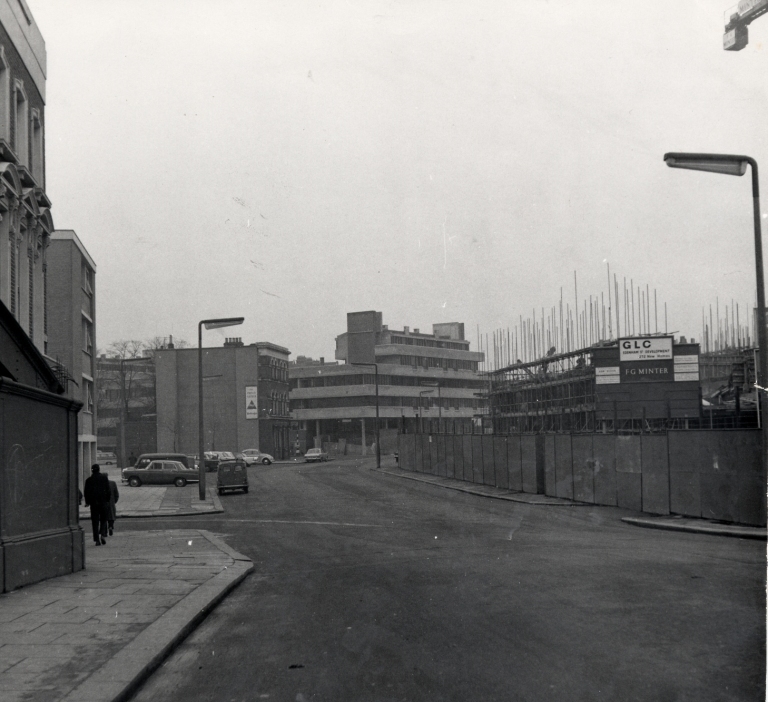 Possible future projects: Do you have anything off the King’s Road specifically to do with the area around Draycott Place — the orphaned children’s home for girls and boys of servicemen? There are statues there to commemorate these children, mostly raised for service — either domestic or military — but if you have photographs would be fascinating. The Cadogans leased the property to the army for at least 300 years before calling in their chips and developing the property commercially. Thanks Dave! 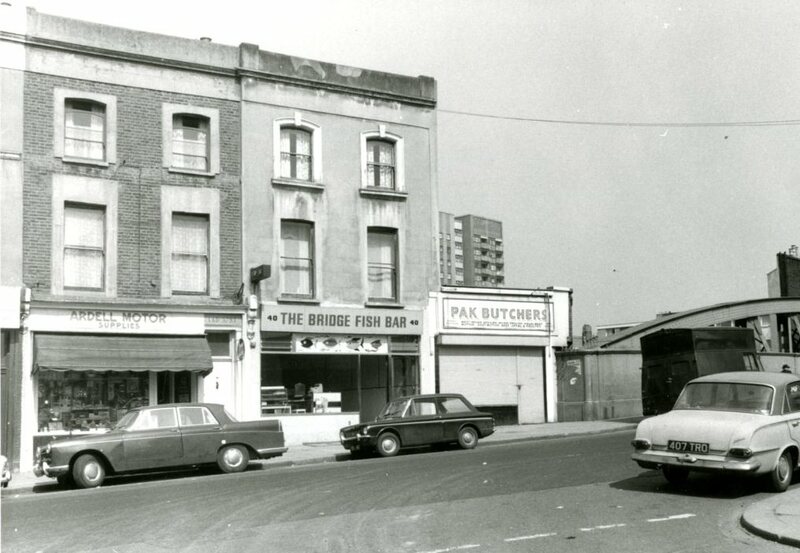 The halal ‘PAK Butchers” near the railway bridge is no longer. 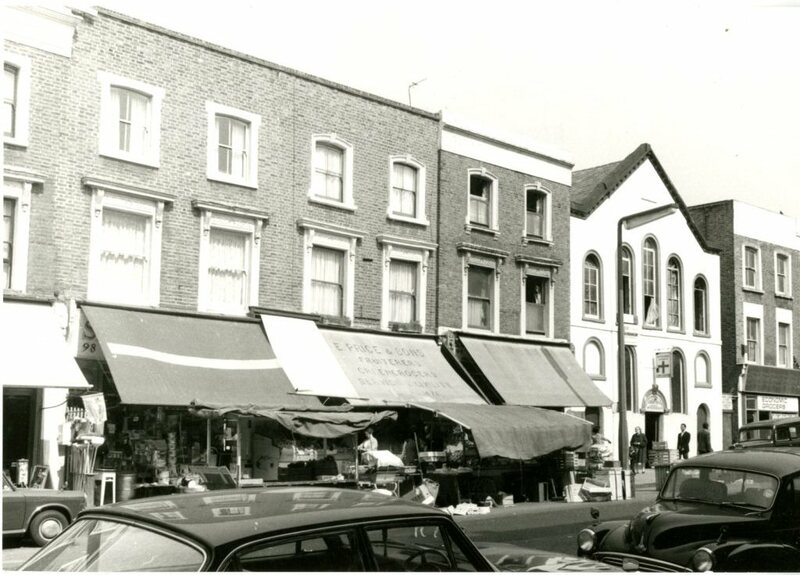 In the 1990s, when researching for the local history book From Kensal Village to Golborne Road, I spoke to the owner, a moroccan who claimed his shop was the first Moroccan butcher to open in the 1970s in North Kensington. I asked him why he was only open for a few days a week and he told me how he went personally every week to the slaughterhouse in Kent I think, (incidentally used also by jewish butchers) to buy his meat. He had a very good reputation locally. The shop has been closed for a few years and now two storeys have been constructed above the shop which seems to be a barbers. 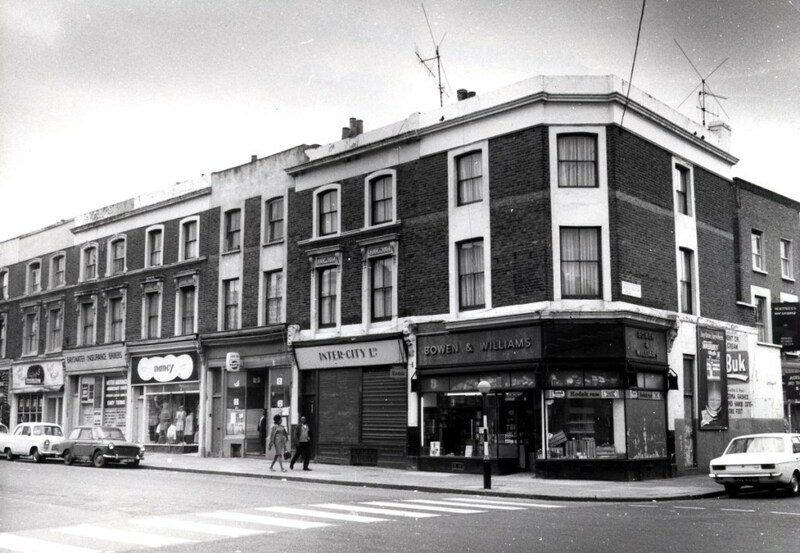 For a while I think there were three other Moroccan food shops in Golborne Road that also sold meat. Now there are just two left. Looks gloomy but was far from it. I was born in 1950. 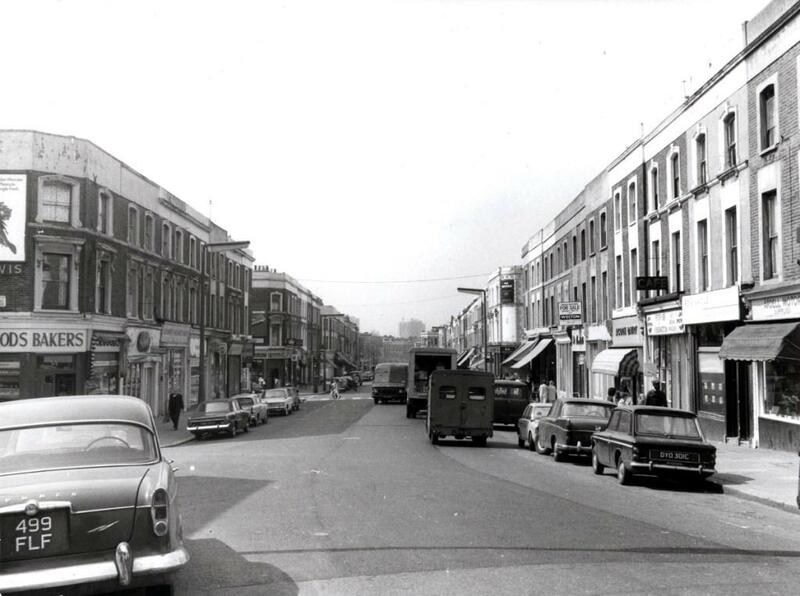 I lived in Acklam Road until the flyover was built and we were rehoused in Appleford Road. 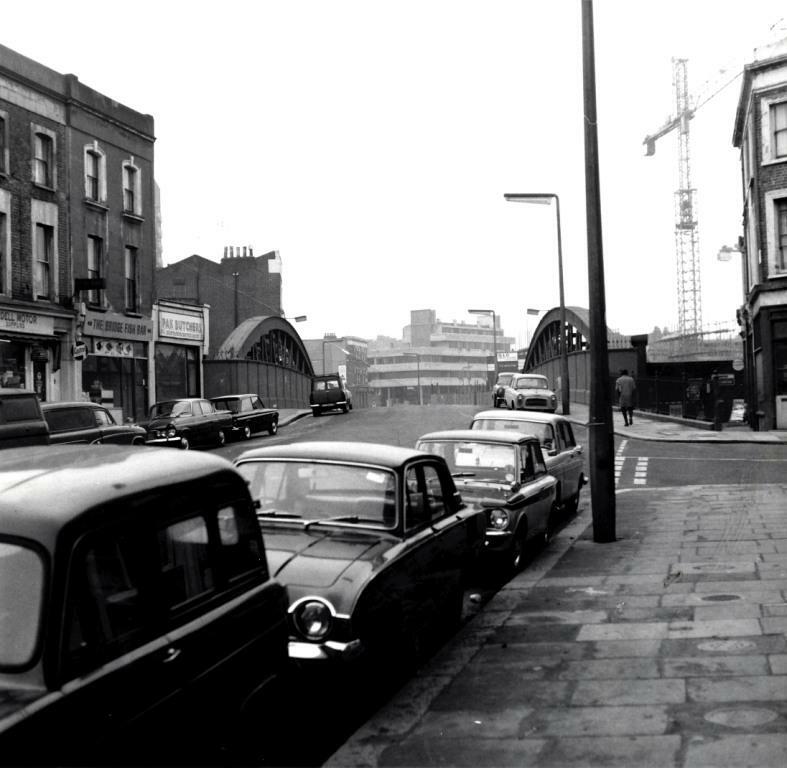 From there we moved to greater London in the 1970s. 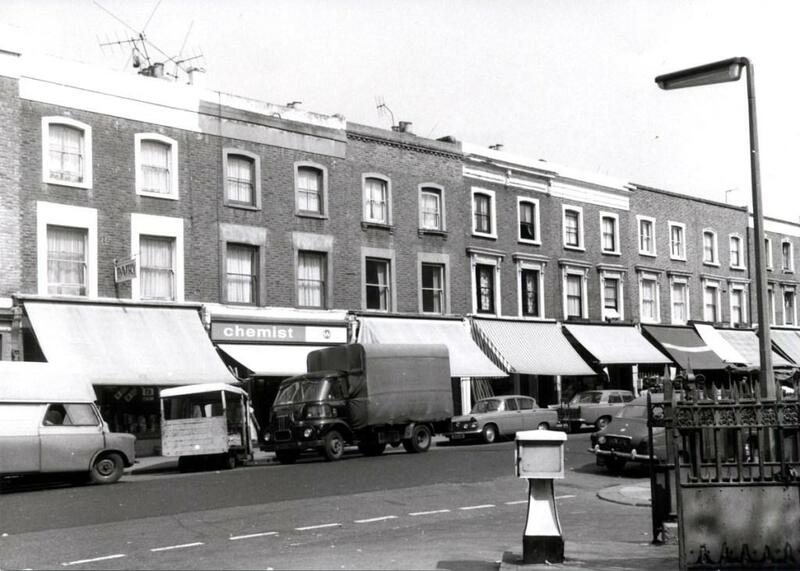 All of Golborne Road and Portobello Road was my youthful stomping ground and I have dear and everlasting memories of a wonderful childhood and teenage years living in that area. 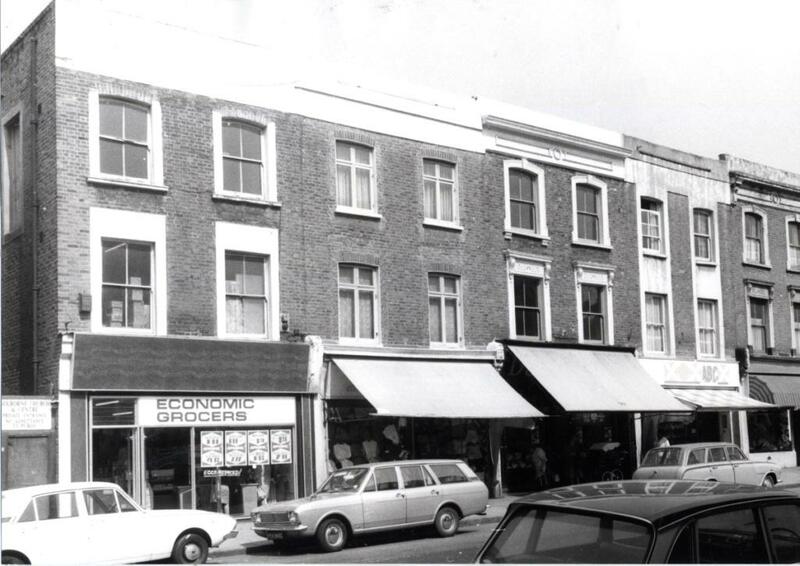 Remember most of the shops and some shopkeepers. 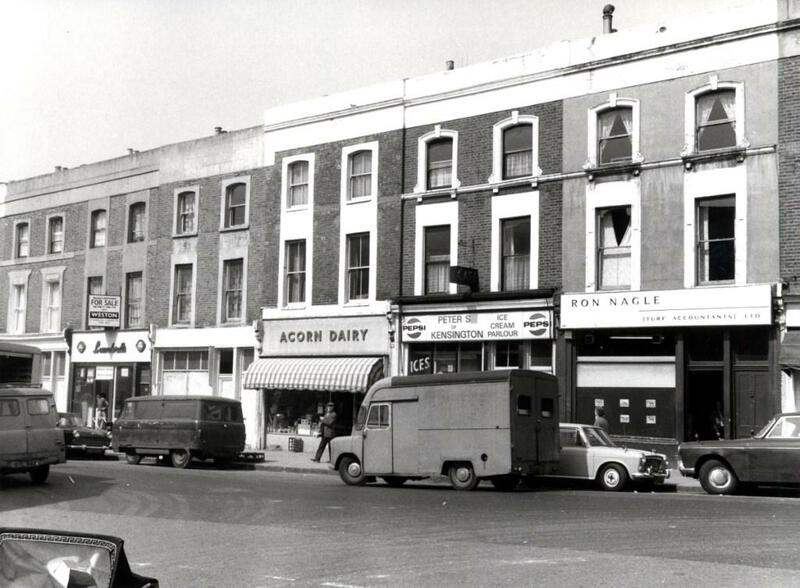 Sainsburys was also in Golborne Road – fresh butter patted off the block, likewise fresh ham cut off the bone. Then Hamperls butchers with their massive stainless steel bowls of steaming freshly cooked pease pudding, another full of boiled pork and another of delicious hot saveloys. I could never pass it by with mum, without her going in to buy me some. Remember Trellick Tower going up, and nearly coming down quicker, when there was a near catastrophe when building the liftshaft! Thanks for these lovely photos. I remember them all. Dear school friend, now passed, at Sally Army, Bughutch aka the Electric cinema. 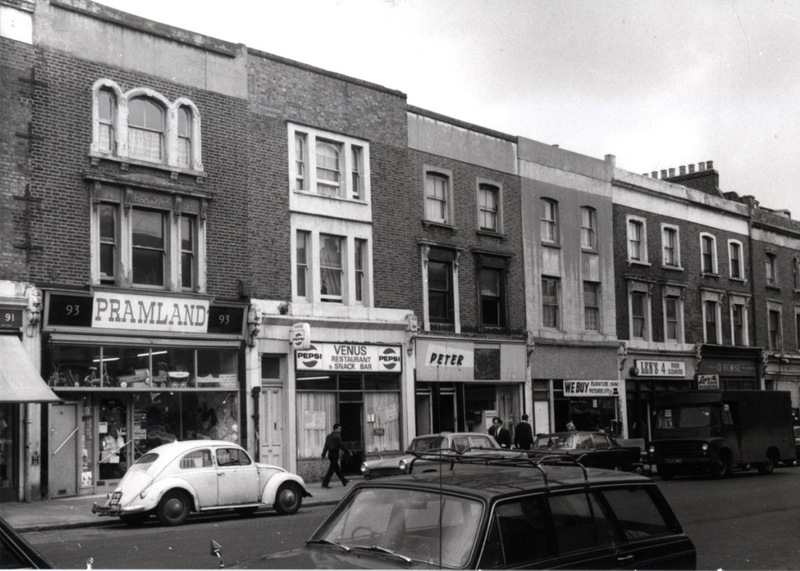 Woolworths looks so small, but to my young eyes it was the equivalent of Selfridges today. 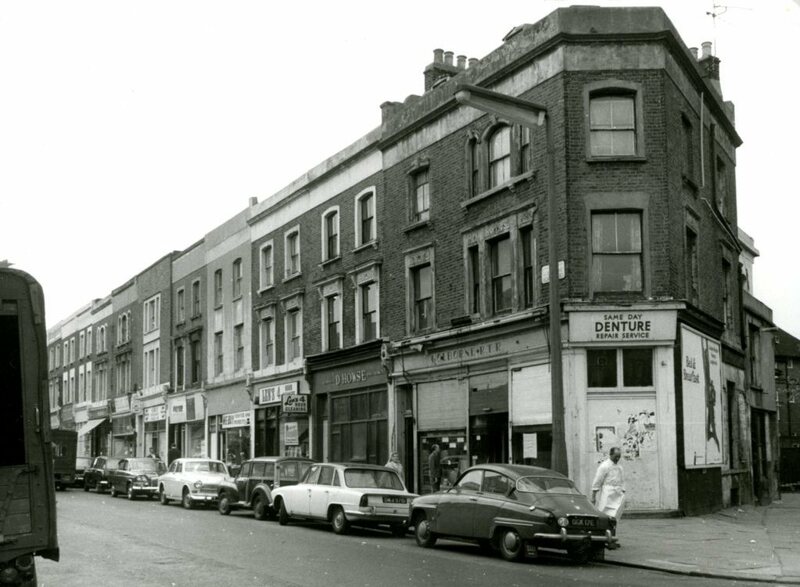 I worked in Leaders shoeshop on Sats and also Boots in Portobello road as a Sat girl, then full time for a few years. Very happy, happy days. The veg stalls look amazing. How is it we cannot grow so much of our own veg today. Clearly we did so then. 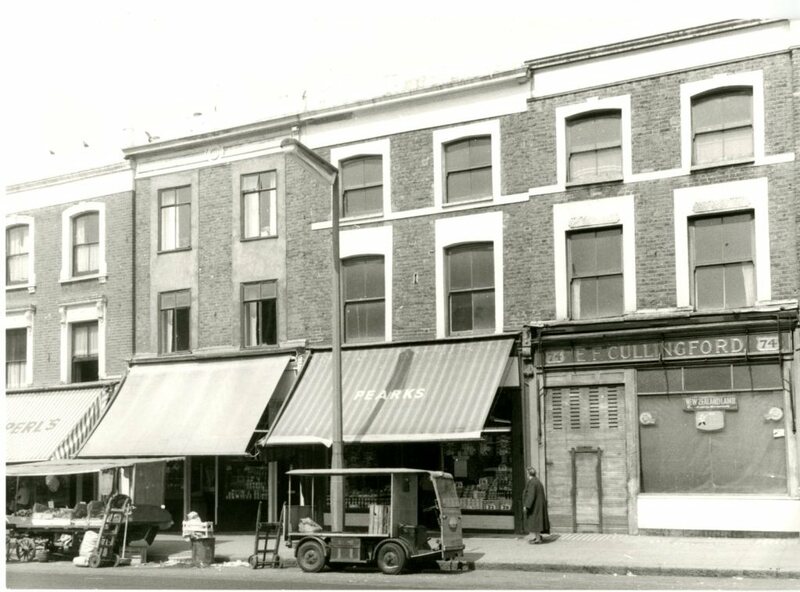 Incidentally, Clarkes in Golborne Road was a cornchandlers selling sacks of grain, oats for horses etc and birdseed where we got ours from. 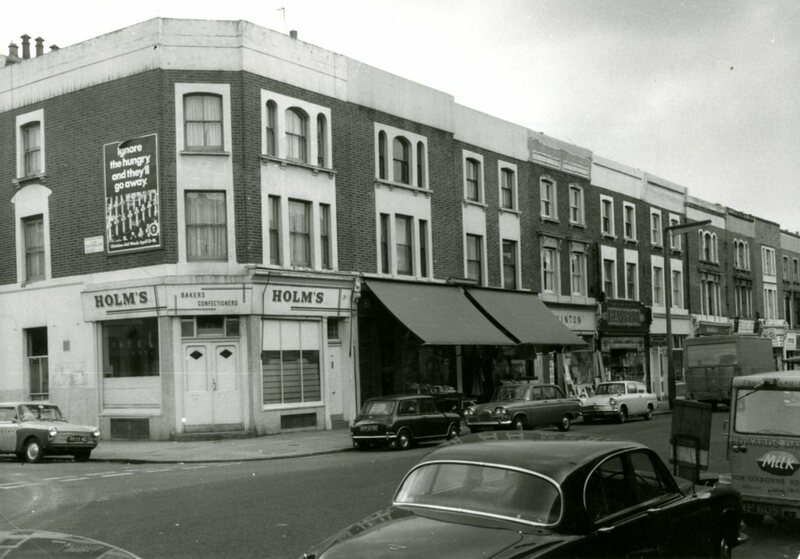 The shop was gaslit and as a youngster, I found it like something mysterious from long ago, which of course it was. 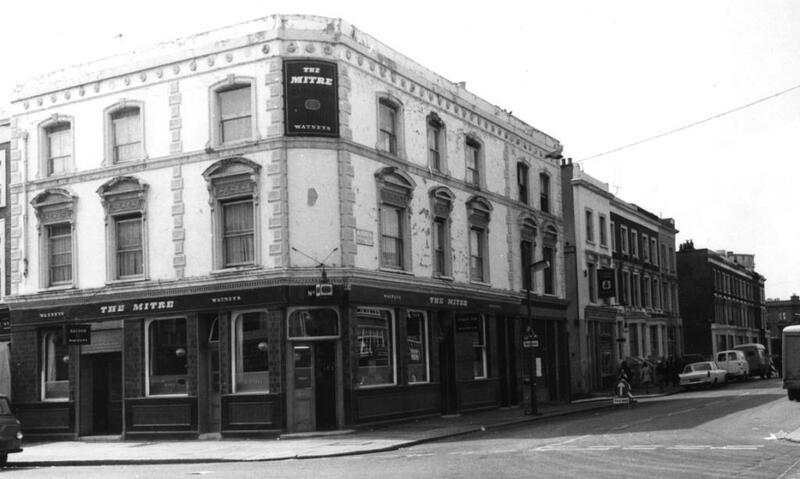 Mr Clarke, softly spoken, was the only person to serve in the shop, to my knowledge, and was in his late seventies then. One fond memory was going in there one day and finding a bunch of kittens romping on the sacks.